Nice theme from The Broke and the Bookish! Top 10 Underrated Authors in [Genre]. Naturally I am specifically happy to see Chachic’s list: Top 10 Underrated Authors in Epic Fantasy. Because, hey, fantasy. I know a lot more about fantasy than, say, contemporary YA. Though I feel like I’ve just read the tip of the iceberg when it comes to ANY genre, including fantasy. There’s nothing like a massive TBR pile + many many bloggers reviewing titles you haven’t gotten to + getting the SFBC mailings + Twitter to make it clear that you haven’t read even a decent fraction of all the books out there, of any genre. Still, good theme. Plus, I’m biased because I’m on Chachic’s list. Instantly the whole list goes up in my estimation, naturally. Seriously, though, this makes me immediately think about who I would put on such a list. Which makes me pause briefly to define what Epic Fantasy is. For me, Epic Fantasy implies: big scale; possibly a longer timespan; probably multiple pov; and detailed, well-thought-out, consistent, complex worldbuilding. As far as I’m concerned, this kind of worldbuilding is an inextricable part of Epic Fantasy. I would say I actually write high fantasy, but not epic fantasy (so far). I would say that Lindsay Buroker’s EMPEROR’S EDGE series is not epic fantasy, because the stories are more personal and smaller scale and also because the worldbuilding, while fun, has not created the kind of detailed, well-thought-out, consistent world that defines epic fantasy. (I would call this series adventure fantasy, if I had to pick a term for it; the equivalent of space opera SF). Tolkien — because, hello. I was talking about this with Craig last night and he pointed out that one unique thing you see from Tolkien is the insertion of a personal story into an epic fantasy. I think this is true. If TLotR was largely about Frodo and Sam, and all the other stuff was just around the edges, then it might be good fantasy story, but it would not be an Epic Fantasy. But I think that adding the personal plotline to the epic plotline is what drove the popularity of the story. Guy Gavriel Kay — not so much for his earlier work; I particularly have in mind his UNDER HEAVEN and RIVER OF STARS. Brandon Sanderson — I haven’t read much by him (I have some of his waiting on my TBR pile and in audio form), but I think it’s clear he’s writing epic fantasy, right? Robin Hobb — no question; her books fit every part of my definition. NK Jemisin — she doesn’t have that many books out, and I might change my mind and say “High fantasy but not Epic”. Not sure. But either way, she is not underappreciated, having hit the well-known category right out of the gate. Scott Lynch — I just read his REPUBLIC OF THIEVES, as you may recall, and though it’s only his third book, it’s plain he’s writing excellent Epic Fantasy — on the gritty side, but definitely not Grimdark. But I think he must count as well known; he has 1700 reviews for REPUBLIC. Daniel Abraham — He has 630 reviews for THE DRAGON’S PATH, plus I just think he’s well known. He’s one of those authors whom I like, and yet . . . somehow not enough to keep going with his series. But definitely Epic and very well written. Brent Weeks — he has a lotof reviews on Goodreads for the first book of his Night Angel trilogy. Wow, now I feel inadequate. Now, with that out of the way, how about this as a list of Top 10 Underrated Authors of Epic Fantasy. Some of these authors have about 200 reviews for a particular book on Goodreads, but nobody comes close to breaking a thousand (for the books I checked). But they’re all really good. 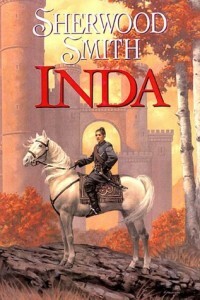 Sherwood Smith — the INDA quintilogy is clearly Epic Fantasy, and definitely worth reading. 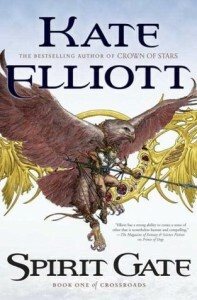 Kate Elliot — I haven’t read a lot by her, but enough to know she is writing fine Epic Fantasy. 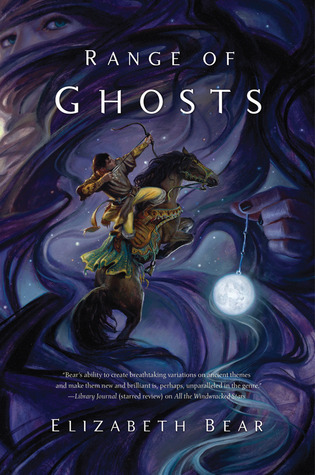 Elizabeth Bear — I have read exactly one of her books, but RANGE OF GHOSTS made me a believer. 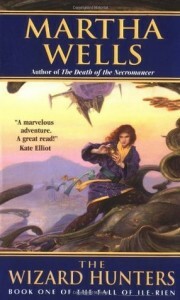 Martha Wells — You all know Wells is one of my favorite authors. The Fall of Ile-Rien trilogy is clearly Epic Fantasy. 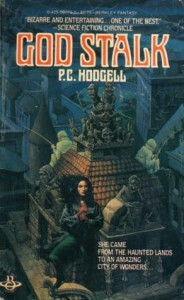 PC Hodgell — I have read some of her Kencyrath books, and for me Hodgell is like Abraham — I like them, I really do, but not so much that I have ever read the whole series. And possibly CS Friedman — I haven’t actually read anything at all by Friedman, but her Coldfire trilogy, sure looks Epic to me. And I’ve heard a lot of good things about this author. Not sure I can really declare she’s underappreciated without, you know, reading some of her books. Say: Suspected Underappreciated Epic Fantasy Authors. Now, let me reiterate: there’s no way to read everything and I know I’ve read only a small fraction of the great epic fantasy out there. So: Anybody have an author who ought to be on this list? I’ve only got six. Who are four more? Katherine Addison/Sarah Monette? Though the Monette books are arguably pretty grimdark. Ellen Kushner? I feel like she’s one of those reader’s writers; well known by big-time readers and not very well known outside the circle. Agree on Wells, Bear, Smith, and Elliott; haven’t read the other two. On the YA side, Erin Bow, and on the mg side, Frances Hardinge. Although now I’m doubting my categorization for almost all of these. Hmm. Sarah Monette’s Doctrine of Labyrinths trilogy is certainly dark, but I don’t think it’s grimdark. At least in the first book, one can see how the character arcs are leading upward, not crashing off into the abyss. I think that series probably counts as epic. Ellen Kushner, I don’t know. I liked Privilege of the Sword quite a bit, but that book and the other associated titles are all telling smaller-scale personal stories, as I remember. I haven’t read anything else by her. And yes, I personally wouldn’t include either Bow or Hardinge as writers of epic fantasy. I wouldn’t put Friedman on the list because she’s very well known. In Conquest Born was a bestseller. So is Smith. And Bear has won major awards–and almost all her work is SF. Hmm. It’s tough. IN CONQUEST BORN has fewer than 400 reviews on Goodreads, and RANGE OF GHOSTS fewer than 300. In contrast, THE HUNDRED THOUSAND KINGDOMS by Jemisin has over 2000 reviews. 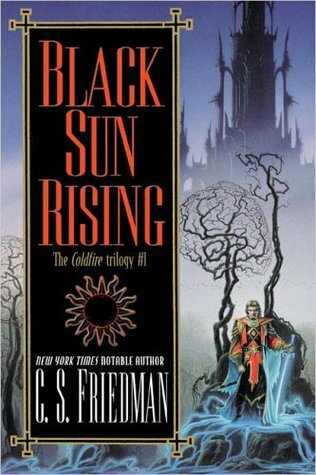 I wonder if it would be fair to say that *today*, Friedman is underappreciated, even if the first book of her Coldfire Trilogy was published as recently as 2005? Or I suppose it could be the case that I feel she is not that well known because I have not personally read anything by her. I don’t know if her work exactly fits the “epic” fantasy category (mostly I feel lucky to just narrow it down to “fantasy”), but Sylvia Kelso writes some fascinating stuff and is pretty obscure. I’m thinking of her “Chronicles of Rihannar” series. Also, her book “Amberlight” which I was not sure I liked, but couldn’t forget.